An effective percutaneous treatment for refractory angina, a severely debilitating condition that affects millions globally. Resulting from inadequate blood flow to the heart muscle, refractory angina (RA) can often cause recurrent and severe heart pain that may be difficult to manage through conventional drug, catheter, or surgical therapy. RA patients typically experience significant disability and impaired quality of life with few options for relief or improvement in their symptoms. The Neovasc Reducer has been shown to be a safe and effective treatment for RA. 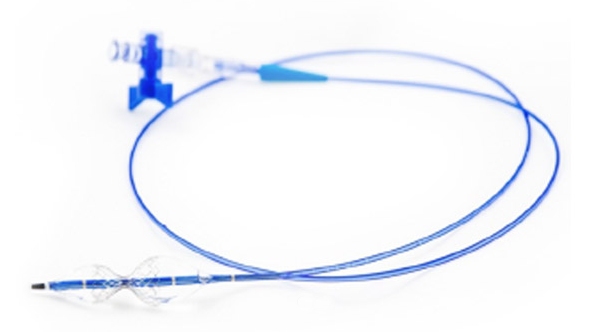 Using a procedure similar to a coronary stent implantation, the Reducer procedure uses standard catheter-based techniques. As with any medical procedure, there are risks associated with the use of the Neovasc Reducer™ System, including but not limited to myocardial infarction, continued angina, and implant migration/dislodgement requiring medical intervention. For a complete list of complications, see the Instructions for Use. COSIRA data showed patients treated with Reducer were 2.3 times more likely to see an improvement of two Canadian Cardiovascular Society (CCS) functional classification as compared to the control arm (n = 104, p value = 0.024). Note: The CCS class is a functional classification used to stratify the severity of angina by evaluating angina symptoms with activity levels. Leading practitioners of percutaneous coronary intervention must become experts at recanalizing chronic total occlusions (CTOs), and with advanced techniques, success rates greater than 90% may be obtained. 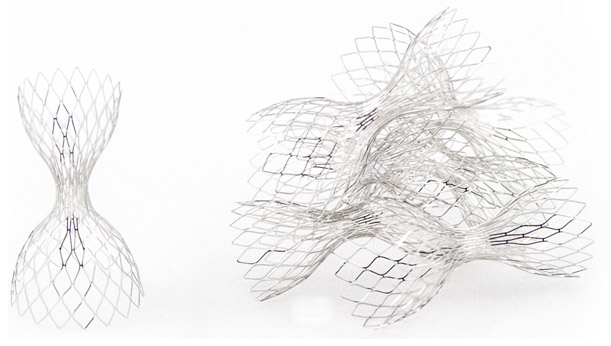 Achieving high success rates with minimal complications is dependent upon physicians being up-to-date on the most recent advances in operator technique, guidewire technology, and other adjunctive devices. Bringing together leaders in the field of CTOs, the Chronic Total Occlusion Summit: A Live Case Demonstration Course will be held in the heart of New York City. Tema; PCI-gruppen VIC inbjuder traditionsenligt till PCI-dagarna 2016 som detta år går av stapeln i Lund. Vi är stolta över att kunna presentera ett vetenskapligt program med föreläsare som David Erlinge, Göran Olivecrona, David Sparv (Zughaft) och Lennart Sandhall. The Society (ESMINT) consists of individuals and groups of members working or training in geographical Europe in the field of minimally invasive neurological therapy. The members will determine the organisational structure of the Society and they will be expected to aspire to the highest standards of ethical and scientific medical practice. Another great congress is on our doorstep, and we have done our utmost to ensure that it meets the high scientific standards expected by the CIRSE community. Ever keen to improve and innovate, we’ve taken on board the feedback from last year in Lisbon, where the new IDEAS aortic symposium and the many venous sessions were warmly welcomed. Based on this enthusiastic response, the SPC has decided to repackage the vascular sessions into a comprehensive Endovascular Programme, which will be clearly stratified into three distinct categories: arterial interventions, venous interventions and aortic interventions, with the latter being presented within the framework of IDEAS 2016. Special guests from other clinical specialties will again enrich our discussions, especially as part of the CIRSE meets the European Association of Urologists session, and within the Interdisciplinary Endovascular Aortic Symposium. IDEAS will be built upon, with additional session types and a hands-on Training Village, where visitors are free to try various devices and models for themselves. Kära kollega och deltagare i Kardiovaskulära Vårmötet! Som ordförande i organisationskommittén är det för mig en stor glädje att kunna presentera det vetenskapliga programmet för Svenska Hjärtförbundets 18:e Svenska Kardiovaskulära Vårmöte som äger rum 27-29 april på Svenska Mässan, Göteborg. Jag vill passa på att tacka alla som skickat in symposieförslag, vilket gjort att vi med Er hjälp även i år kan erbjuda ett program med både djup och bredd. Det preliminära programmet finns nu tillgängligt på hemsidan.